Together we are stronger! From single PDAs to a coalition of PDAs: the case of Boston. PDAs can foster communities within and outside the hosting universities. 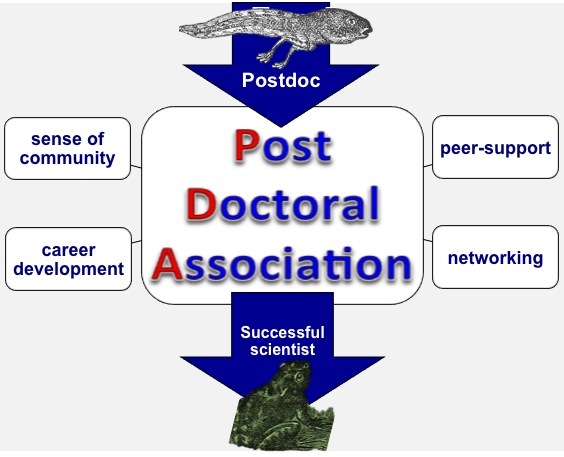 The Boston PDA (BPDA) was founded in 2013 by a group of passionate postdocs who were already co-chairs of their PDAs to promote synergy among the Boston area PDAs. 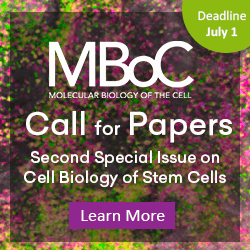 “I think that over the past years, we have seen an increased involvement of the postdocs in various efforts aiming to actively improve the conditions and quality of the postdoctoral experience in particular, and the conditions for young researchers in general,” explains Tobias Otto, Co-chair of the Dana-Farber Cancer Institute PDA and co-founder of the Boston PDA. “One prominent example is the creation of the National Postdoctoral Association in 2003. Similarly, the initiation of the Boston Postdoctoral Association in 2013 and the formation of the Future of Research in 2014 are widely recognized examples. Furthermore, PDAs at many institutions have recently managed to improve the conditions for postdocs at their particular institution by interacting and negotiating with the leadership of these institutes.” These examples show the desire and need for a supportive postdoc community. Are postdocs actually trained for a specific career? Most of the time, postdocs do not have in their labs all the resources they would need to prepare themselves for a given career. However, combining forces and sharing resources provides many benefits, such as career development, for the postdoc community. Over the last few years, there has been a huge demand for courses and training that can better prepare postdocs for jobs outside academia. But the connection with the industry world can be hard to achieve for a small PDA, making it an important and attainable goal for a bigger organization like the BPDA. “The BPDA and other regional postdoctoral associations that are forming across the nation are helping our postdoctoral communities in multiple ways,” says Sarah Dykstra, Tufts PDA President and BPDA Career Development Committee Co-Chair. “By sharing resources and actively collaborating, the BPDA is slowly changing the way training and other critical information is accessed by thousands of local postdocs. This improved communication and increased collaboration across our 17 PDA members has resulted in enhancements in professional development and training opportunities, increased transparency with respect to workplace benefits and better networking and social opportunities among postdocs in the Boston area. Moreover, the BPDA has also had the opportunity to invite partners such as postdoctoral officers and external industry collaborators to join the conversation about how best to work together to improve postdoctoral training and career outcomes”. Final thoughts: are you engaged with your PDA? After talking with many postdocs, I realized that too often they do not know their rights as trainees. Support and training from your supervisor with a competitive salary and benefits should not be your only view of what a postdoc entails. Your local PDA is a place where you can leave your lab bubble, learn about the experiences of your peers, and understand your rights. PDA members plan professional development events together, aimed at improving their training and career prospects, as well as social events to create a community. Although committing to a PDA might sound like it won’t fit into your busy schedule, start by attending meetings and if there is anything you think your PDA is lacking, speak up, and offer suggestions. If you have the time and motivation, sign up to take on a small project or leadership role. Science is a team effort and we need everybody’s contribution to make our environment and our experience as postdocs the best possible.